Yesterday, on Mother’s Day, we also celebrated the Ascension of the Lord. Fr. Konopa, in his Homily, pointed out that now the Lord’s work is for us to do. 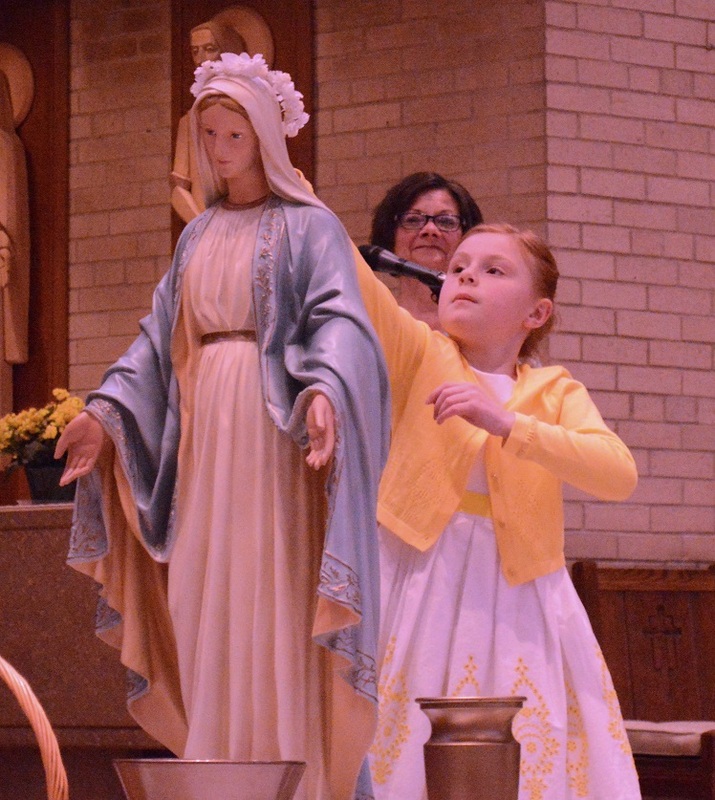 After Communion there was a blessing for mothers and the traditional May Crowning, revering our blessed Mother, as people streamed forward with gift bouquets of spring flowers. 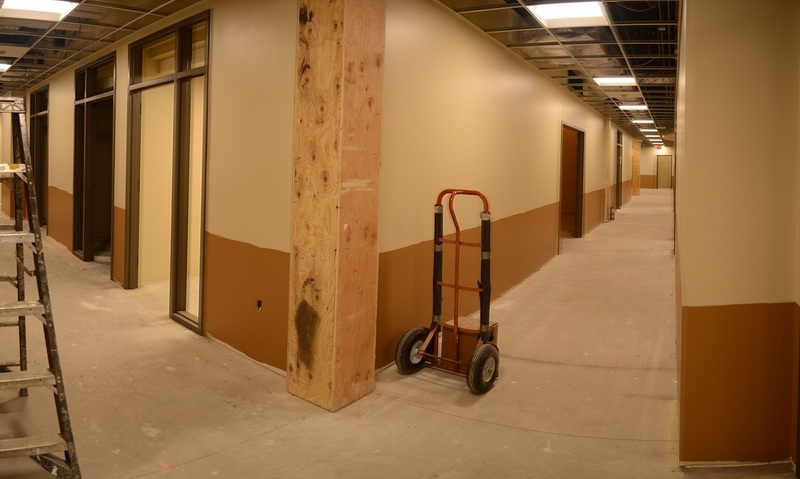 Checking on progress in our Religious Education Center, it seems we are well on our way to completion about a month from now. Painting appears to be complete, and ceiling grids and lights are in place. 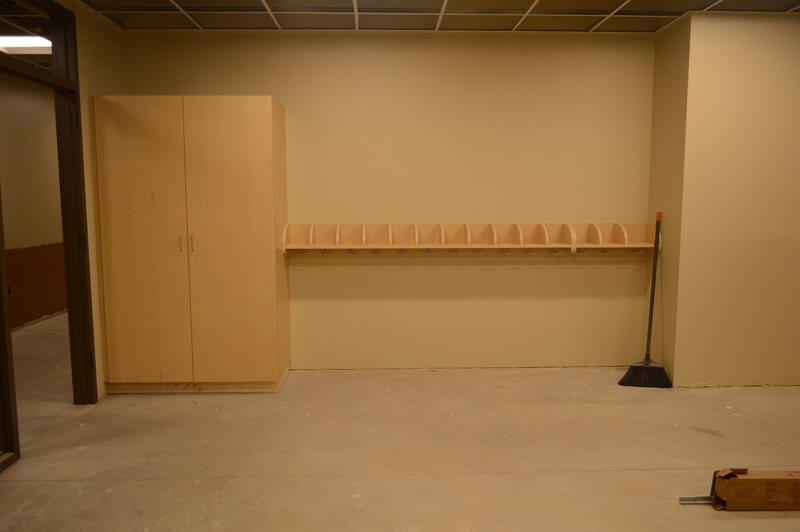 Cabinets and cubbies are in all the classrooms. To whoever selected the lighting for the lower level, well done! The light is ample and bright like sunlight, so even the rooms without windows feel commodious. Everywhere the finishes are warm, soothing earth tones. Plans call for an open house in the lower level after all Masses on Catechetical Sunday, 16 September. As with the parish hall, people are going to be impressed. 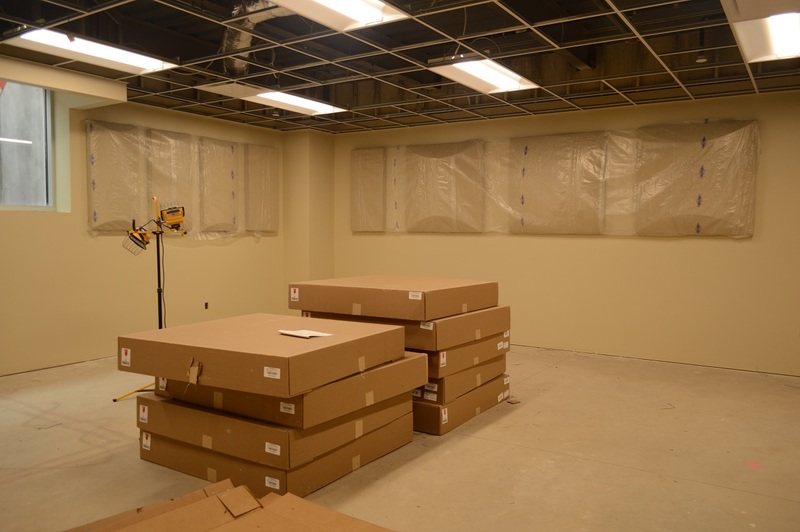 The classrooms are enormous and everywhere there is attention to detail, such as the acoustic panels in the music room. Tomorrow we celebrate the life of our former pastor, Fr. Edwin Thome. A lot of us have very fond memories of him, whether his original term 1968-1974, or his return as our senior pastor 2001-2008. There will be wonderful stories to share of his kindness, humor, and his insightful homilies. Eternal rest grant unto Ed, O Lord, and let perpetual light shine upon him. May he rest in peace.